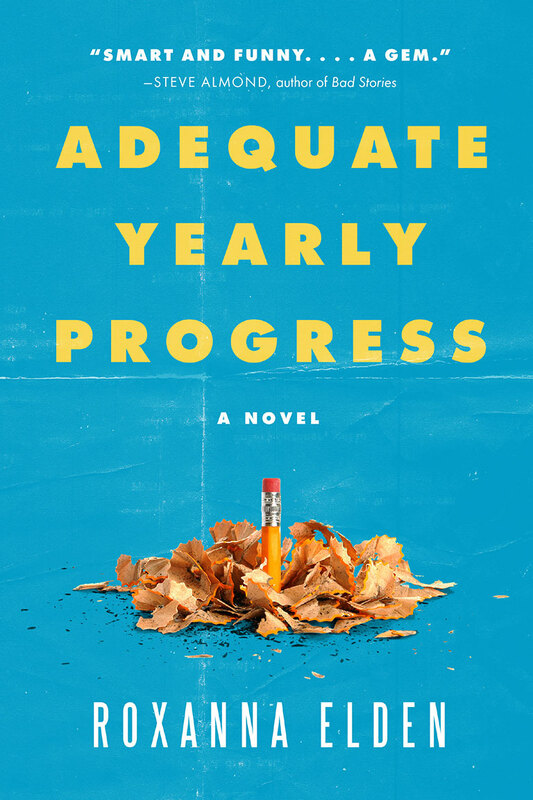 The first chapter of the book follows language arts teacher Lena Wright, who walks into school at the end of the summer and greets her colleagues, then learns some interesting news. Hernan D. Hernandez slipped in at the back of the auditorium. The back-to-school faculty meeting hadn’t officially started yet, but it felt too late to walk to the front of the room to join the rest of the science department. He slid into a nearby seat, its springs sighing at the year’s first interruption. A presenter from the district stood on the stage, grinning at no one in particular. She was one of those heavily accessorized, well-connected former teachers who had long ago retreated to offices within the district headquarters, emerging at the beginning of each school year to give PowerPoint presentations. Behind her, a screen glowed with a picture of a beach at sunrise, hundreds of sea stars dotting the sand. All of which suggested they were going to start with the starfish story. Hernan pulled a pen from his computer bag. The bag had spent the summer in his closet, and its reemergence was one of many reminders that summer was over—no more soccer games with his nephew, no more helping his father in the backyard or experimenting in the greenhouses of the Hernandez Plant Nursery. For the next ten months, he’d spend most of his time indoors. “Good morning, y’all!” said the presenter. Conversation sounds dwindled as a few teachers returned the greeting. “Gmrning.” It came out as a grumble. This crowd spent too much time around teenagers to respond to demands for cheerfulness. Plus, everyone now sensed that the presentation would start with the starfish story, which rarely preceded good news. The door behind Hernan opened to let in a few more stragglers. He turned in time to see Lena Wright appear in its frame, the light of the hallway behind her. Her silhouette was slim and graceful, topped by an unruly crown of curls extending in all directions. She paused as if assessing whether it was too late to sit with the English department. Then she turned her attention to the back rows, brightening when she spotted Hernan. His faculty-meeting experience improved considerably as she slid into the seat next to him. “Did I miss anything?” she whispered. “Not much.” Hernan gestured toward the screen. “I’d like to start with a little inspiration this morning!” said the presenter. “Looks like it.” Immediately, Hernan lamented the answer’s lack of cleverness. Growing up with two sisters should have given him an edge in talking to women. Instead, it had trained him to make women see him as a brother. Though they didn’t always see him this way, he reminded himself. His younger sister, Lety, sometimes mentioned college friends who’d asked about him, and he knew he wasn’t bad-looking, though he would’ve liked to be taller. He’d inherited the same tan skin and sharp features as his sisters, and a tendency toward outdoor activity kept him in shape. In his classroom, talking to students about biology, he felt confident, interesting—maybe even charming. And yet, around the women who interested him most, he seemed always to miss some crucial opening, some moment of possibility that floated past without his reaching out to grab it. His dealings with Lena were no exception. Even at this moment, her presence alternated between lifting his spirits and intimidating the hell out of him. “She seems pretty surprised by this story line,” whispered Lena. Lena let out a whoosh of breath that might have been a laugh. Click. A dancing cartoon starfish appeared on the screen. The pointy-headed figure shimmied on the starfish appendages that served as legs and waved the starfish appendages that served as arms. Lena laughed aloud. The treads of Hernan’s confidence regained their grip. Hernan tried to think of something noteworthy enough to spark conversation. Lena wasn’t really his friend so much as a colleague who often ended up at the same happy hour. He’d first noticed her when she’d started working at the school two years earlier, strutting the hallway with braids held back by a colorful cloth headband. His real interest in her, however, had started the morning she showed up completely bald. There had been competing explanations from Mrs. Friedman-Katz, who believed Lena was a cancer patient (“poor thing”), and from Mrs. Reynolds-Washington, who believed she was a lesbian (“I always knew that girl was a little strange”). Hernan had hoped neither rumor was true and had been relieved as Lena’s hair grew into a halo of wild curls. Hernan surveyed the landscape of seated teachers. The science and math departments were in their usual seats up front, within the sight lines of the presenter. The coaches lined the back of the room, where they could slip out to check the action on the field. Any teachers who could get away with it were working discreetly on other things. Occasionally they looked up with exaggerated intensity, as if absorbed by the suspense of the starfish story. “Let’s have one of you read the next line from your packet!” The presenter’s mouth was still smiling, but her eyes had noted the audience’s drifting attention. “Oh . . . well . . . they should be circulating from the front to the back. Has anyone seen the packets?” A few teachers near the front raised their hands. Among them was Maybelline Galang, who strained toward administrative praise like a flower toward the sun. She was taking notes as if she’d never heard the starfish story in her life. “I got the last one,” said a voice a few rows behind Maybelline. A few latecomers took the opportunity to hurry up the aisles and sit with their departments. Hernan was glad to see Lena wasn’t one of them. “My packet is missing pages one and two,” said another voice. Click. The reddish glow of another ocean sunrise cascaded over the teachers, some of whom were now fumbling with the misstapled packets. Others bent over their laps, still trying to complete paperwork by the low light of the new slide. “So, just to review: The man didn’t think the boy could ever make a difference, right? Since there were so many starfish washed up on the beach? And the boy can only save one at a time, right? Right, everyone?” She waited until a few teachers nodded before advancing the slide. The teachers sat silently, bracing for the unpleasant news that always dropped at the end of the starfish story. “Deceive?” called a voice from the back of the room. Hernan knew Mr. Weber, the school’s union representative, was just stalling. “Believers make achievers” was the most often quoted line from Nick Wallabee’s book, the cover of which featured a photo of Nick Wallabee standing in a sparse classroom, foot planted on an empty student desk, gazing defiantly into the camera on behalf of children. The news that he was now their superintendent had elevated Mr. Weber’s predictable drizzle of sarcasm and conspiracy theories to a raging thunderstorm. “New Year’s Eve?” offered another voice. “Um . . .” She was running out of ways to gently correct wrong answers. “Achieve.“ It was Maybelline Galang. “She would be the one to mess that up,” whispered Lena. Hernan noted some scientific discrepancies in the moon-and-stars metaphor. For one thing, the moon was much closer to Earth than the stars were. Also, stars were huge, burning balls of gas millions of light-years away from one another, so you could in no way “land among” them, nor would you want to. These were just the most glaring errors he could have pointed out, possibly drawing another laugh from Lena. But then he worried the whole thing might sound too science geek–ish, like his earlier urge to point out that “starfish” were not actually fish. The correct term for them was sea stars. In the end, the comment-making window closed before he said anything at all. He sat, trapped in silence, gazing into the blue PowerPoint sky. The auditorium buzzed. This, it seemed, was the bad news presaged by the starfish story. “And how will they be calculating this ‘Believer Score,’ exactly?” Mr. Weber was standing now. Hernan willed himself to think of something clever to say about the Believer Score, but nothing came to mind. His awkwardness returned and coagulated around him as the noise in the room grew. She was looking to him for reassurance, he realized. And why not? This was only Lena’s third year at a school where he’d worked for seven. Even as Hernan said it, he realized he had no idea if this was actually the case. But it was possible. For as long as he could remember, the principal had never missed a back-to-school meeting. On a related note, the teachers in the auditorium had never been so noisy. She looked relaxed again, and Hernan had a burst of inspiration. “How about this? If they’re still bothering us about any type of initiative by this year’s first happy hour, I’ll buy you a drink.” Now, he thought, they’d have a reason to go to the same happy hour. “Sure. Wait—do we have each other’s numbers?” She spoke loudly this time. Everyone in the auditorium was talking by now. The presenter had already counted to three and was now saying, “Clap twice if you can hear me!” But only Maybelline Galang and a few other teachers were clapping. As he offered Lena his number, Hernan felt a great swell of hope for the year ahead. His optimism rose like the sun in the presentation slides, melting away any worries he might have had about the Believer Score or anything else the new superintendent might dream up. Lena tapped the contact information into her phone. Her other hand traveled absentmindedly to the back of her neck, twisting a tiny curl that started just below her ear. Hernan wondered what it might be like to touch that spot.